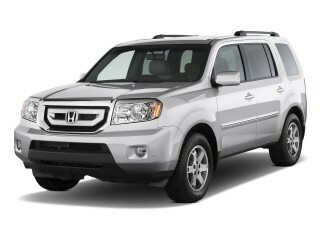 You should cross-shop the GMC Acadia and Buick Enclave even if you like the 2011 Chevrolet Traverse. They're nearly identical, so it depends on whether a particular dealership is willing to haggle. The 2011 Chevrolet Traverse isn’t fun to drive, but it’s one of the best large crossover wagons for transporting the family comfortably and safely. The large Traverse was introduced several years ago as a more carlike successor to the Chevrolet Trailblazer, falling into place below the burly Chevy Tahoe SUV. And with a more passenger-friendly layout inside that makes it feel at times like a minivan if it weren't for the hinged back doors, it's a great design for daily-grind family use. In a word, the styling of the 2011 Chevrolet Traverse is mainstream. The Traverse lacks the chunky, truck-inspired lines of the GMC Acadia or the flow of the Buick Enclave (both are closely related), but its simple design has an air of minimalistic elegance that we find charming. There's clearly a lot of design influence shared with Chevrolet's cars—especially the Malibu—including the tall, horizontally divided grille. But next to the somewhat smaller Equinox, the Traverse is a little less adorned, a little more bland. As with the exterior, the cabin of the Traverse is functional but by no means exciting. Power comes from a direct-injection 3.6-liter V-6 engine—the same unit found in the Cadillac CTS and STS. Peak output is rated at 288 horsepower and 270 pound-feet of torque for models equipped with a dual exhaust, or 281 horsepower and 266 pound-feet of torque for models with a single exhaust. Compared to the most powerful of GM's full-size trucks and utilities, the Traverse accelerates at a leisurely pace, but never feels really slow or anemic, and the six-speed automatic keeps it revving for a perky feel. Comfort and interior space are strengths of the 2011 Chevrolet Traverse design, and you could almost think of it as a minivan interior without the sliding doors. Over three rows, there's space for up to eight occupants, with the seats divided into two front buckets and two 60/40-split benches. Though the primary purpose of the Traverse interior is people-moving, GM's smart packaging choices show when you fold the seats down—producing a nice, nearly flat cargo floor. Even behind the third-row seat, there's 24.4 cubic feet of space, while folding the second and third rows down yields 117.5 cubic feet. The interior is tight and quiet, too, but the hard, dull plastic inside can be a downer to an otherwise bright interior. The 2011 Chevrolet Traverse is available in three levels of trim—LS, LT, and LTZ—as well as either front- or all-wheel-drive configurations. Standard equipment even on the base LS includes a tilt/telescopic wheel, cruise control, full power accessories, Bluetooth hands-free connectivity, and a sound system with satellite radio. 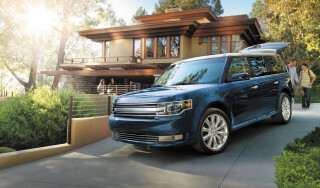 Some of the vehicle's options include a rearview camera, a power liftgate, a DVD player, XM Satellite Radio, and heated and cooled front seats. Up-spec LTZ models can also be fitted with a rear spoiler, 20-inch aluminum wheels, a dual-exhaust system, and a panoramic sunroof. Practicality, not styling, is the strong suit for the 2011 Chevrolet Traverse inside and out. 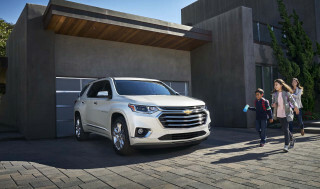 In a word, the styling of the 2011 Chevrolet Traverse is mainstream. The Traverse lacks the chunky, truck-inspired lines of the GMC Acadia or the flow of the Buick Enclave (both are closely related), but its simple design has an air of minimalistic elegance that we find charming. There's clearly a lot of design influence shared with Chevrolet's cars—especially the Malibu—including the tall, horizontally divided grille. But next to the somewhat smaller Equinox, the Traverse is a little less adorned, a little more bland. The three Traverse models—LS, LT, and LTZ—are distinguished mainly by wheels, with top LTZ models available with especially flashy chrome 20-inchers. As with the exterior, the cabin of the Traverse is functional but by no means exciting. The low-key theme continues, but in a sea of overwrought luxury interiors, it's actually refreshing. The exception is up close, where the hard plastics that are used too often throughout the interior don't stand up so well. The 2011 Chevrolet Traverse performs adequately all around, but you won’t forget you’re in a heavy, family- and comfort-oriented vehicle. While the 2011 Chevrolet Traverse doesn't appear agile, this big crossover is, in fact, a competent performer in most situations. There's one issue, though: It's heavy. Power comes from a direct-injection 3.6-liter V-6 engine—the same unit found in the Cadillac CTS and STS. 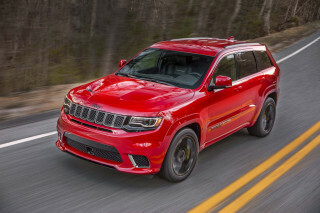 Peak output is rated at 288 horsepower and 270 pound-feet of torque for models equipped with a dual exhaust, or 281 horsepower and 266 pound-feet of torque for models with a single exhaust. With 90 percent of peak torque available from approximately 2,500 rpm to more than 6,000 rpm, there's enough punch to adequately move the Chevy's not inconsequential weight of nearly 5,000 pounds. Compared to the most powerful of GM's full-size trucks and utilities, the Traverse accelerates at a leisurely pace, but never feels really slow or anemic. With a four-wheel independent suspension and crisp hydraulic-assist steering, handling is surprisingly good for a vehicle of this size and weight—especially when equipped with the range-topping LTZ's optional 20-inch wheel and suspension package, with which Chevrolet's engineers manage to hit a sweet spot between secure handling and comfort. Body roll is present but not excessive, given the Traverse's portliness, and brakes are strong, though the driving experience is, in a word, laden; you won't forget you're driving a very heavy vehicle. With ample space for up to eight people and most of their gear, comfortable seats, and compliant ride quality, the 2011 Chevrolet Traverse is passenger-friendly in every way. Comfort and interior space are strengths of the 2011 Chevrolet Traverse design, and you could almost think of it as a minivan interior without the sliding doors. Over three rows, there's space for up to eight occupants, with the seats divided into two front buckets and two 60/40-split benches. The Traverse's front seats are plush yet supportive, and the adult-sized second row slides forward to provide access to the surprisingly comfortable (for kids) third-row seats. However, it does take a high step up to enter that back row. Second-row captain's chairs are also available, but they're really not any more comfortable than the bench perches and carrying capacity is then reduced to seven. Though the primary purpose of the Traverse interior is people-moving, GM's smart packaging choices show when you fold the seats down—producing a nice, nearly flat cargo floor. Even behind the third-row seat, there's 24.4 cubic feet of space, while folding the second and third rows down yields 117.5 cubic feet. The floor is flat, which makes it especially useful; though it is a bit surprising how high the floor is, making loading a bit harder than for minivans. 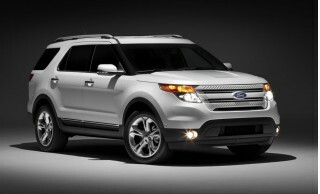 The Traverse has a tight, quiet cabin and excellent noise suppression and a remarkably smooth ride. 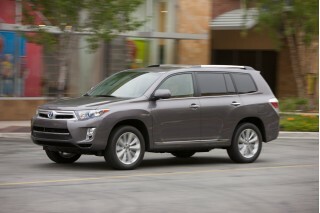 Build quality and switchgear in the 2011 Traverse is superb and equal to or better than most rival imports. Gauges are easy to see, and controls are easy to use. Splashes of chrome brighten things up, and the only disappointment is the plethora of hard, dull plastic used throughout the interior. The 2011 Chevrolet Traverse is one of the safest vehicles in this faimly-friendly class, with its large, sturdy structure garnering great crash-test ratings. The 2011 Chevrolet Traverse remains one of the safest vehicles in its class, scoring great results in both major crash-test programs and offering a full set of standard safety features. Electronic stability control, front airbags, and front side airbags are included in all Traverse models, along with side curtain airbags that help protect all three rows of seats. Visibility isn't great for all drivers, so we recommend getting the rearview monitor, which makes those pesky reverse parking maneuvers a breeze. The Traverse's special blind-spot mirrors also help, however. The Traverse also scored top marks in the Insurance Institute for Highway Safety crash tests, where it got the highest rating of 'good' in frontal, side, and rear tests, though it hasn't been tested in the new roof-strength category. And in tougher restructured tests from the federal government, the 2011 Chevrolet Traverse receives a top five-star score overall, including four stars for frontal impact and five stars for side impact protection. 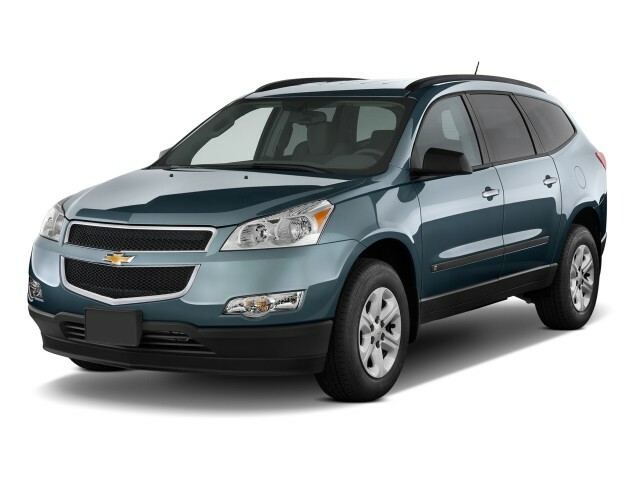 The 2011 Chevrolet Traverse offers all the bells and whistles that are expected, and a few more. It hits luxury-brand pricing in top-of-the-line LTZ form, though. The 2011 Chevrolet Traverse is available in three levels of trim—LS, LT, and LTZ—as well as either front- or all-wheel-drive configurations. Standard equipment on the Traverse includes a tilt/telescopic wheel, cruise control, full power accessories, and a sound system with satellite radio. The standard OnStar system includes Turn-by-Turn navigation and points-of-interest information. LT models add a few extras, while the top-of-the-line LTZ gets leather upholstery, tri-zone automatic climate controls, a voice-command, screen-based navigation system, and a rearview camera. 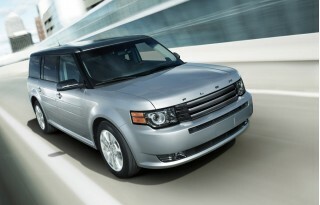 For 2011, heated cloth seats are newly available on Traverse LT models, and the USB port for the sound system has been moved to the upper instrument panel storage bin. 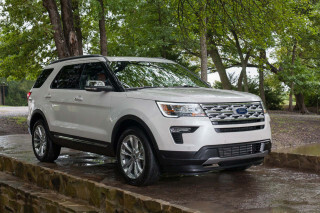 Some of the vehicle's options include a rearview camera, a power liftgate, a DVD player, XM Satellite Radio, and heated and cooled front seats. Up-spec LTZ models can also be fitted with a rear spoiler, 20-inch aluminum wheels, a dual-exhaust system, and a panoramic sunroof. The 2011 Chevrolet Traverse is unimpressive with respect to fuel economy. Thanks to the six-speed automatic transmission's wide span of gear ratios, GM boasts, the Traverse provides both impressive performance and fuel economy, but we haven't seen the latter. 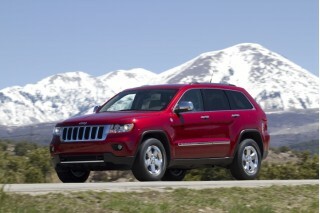 EPA fuel economy ratings are 17 mpg city, 24 highway with front-wheel drive, or 16/23 with all-wheel drive. 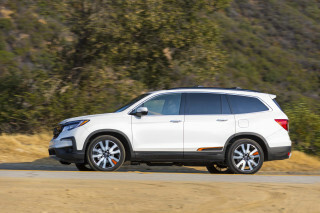 And these figures might even be a little optimistic; in repeat drives of the Equinox and its Buick Enclave and GMC Acadia siblings, The Car Connection has noted real-world figures near the bottom of that scale. Caused me to loose a job. Needed my transportation.. Terrible, Terrible. I like pretty much everything about this vehicule. Seats are a little on the firm side for me but not too bad. I would have make the front right seat go a little higher.